Growing the mesh is important, but so is staying safe to install more nodes. These are general safety guidelines intended to address more common hazards on an install, but keep an eye out for risks even if they are not covered here. Be aware of your surroundings at all times. If you feel unsafe traveling to a particular location, consider meeting up with co-installers beforehand and traveling together. Ask your member to tell you about any hazards on site. Take responsibility for your own safety first but make sure to watch out for your co-installers. If you are an install team leader, understand the capabilities of your fellow installers and assign tasks they are comfortable doing. Inform your fellow installers of any medical conditions that could impact the install. If you are asked to do something you find unsafe, respectfully decline the task and propose an alternate method. Read the weather forecast the day of the survey. If there is a high likelihood of poor conditions, cancel the install. In case of heavy rain, thunder or lightning, leave the roof immediately and cancel the install. During hot weather, stay hydrated and protect your skin with sunblock. Take breaks indoors or in the shade. Recognize the signs of heat exposure, such as dizziness, nausea, headache, confusion, and rapid, shallow breathing. During winter, tread carefully to avoid slips and falls on ice. Stay away from icy patches when possible. During cold conditions, protect your skin with appropriate outerwear and take breaks indoors to warm up. Recognize the signs of cold stress, such as uncontrolled shivering, slurred speech, clumsy movements, fatigue and confused behavior. During windy conditions, keep lightweight equipment inside a bag so that it does not blow off the roof. Rooftops present various falling hazards. Exercise caution while working on rooftops at all times. Ask your member about any hazards in advance of entering the rooftop. Move carefully and watch where you are walking at all times. Try to avoid stepping backwards. 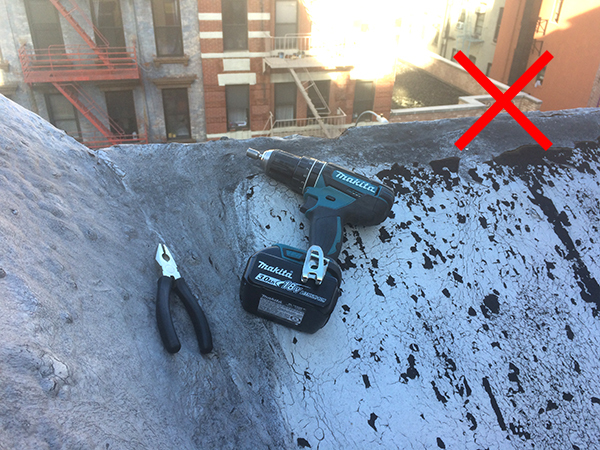 Keep yourself and your equipment away from the edge of the roof whenever possible. Step carefully over or around loose cables, debris and other tripping hazards. Don’t grasp or put any weight onto unstable parapet walls or fences. Do not step on, lean against or put any weight on skylights. Do not place any equipment on skylights. 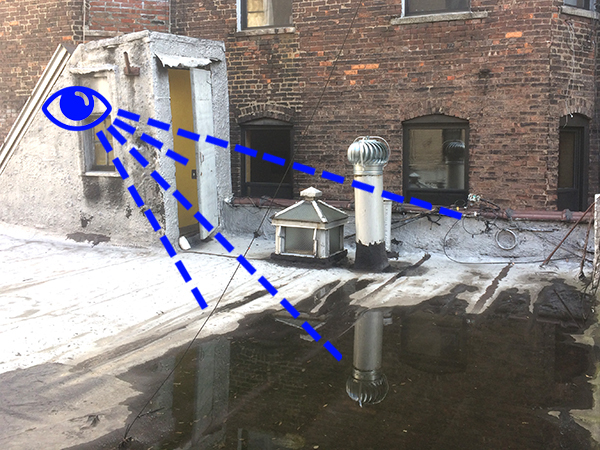 When working near the edge of the roof, maintain visual awareness of the edge at all times. Do not work facing away from the edge. Keep off steeply pitched surfaces. 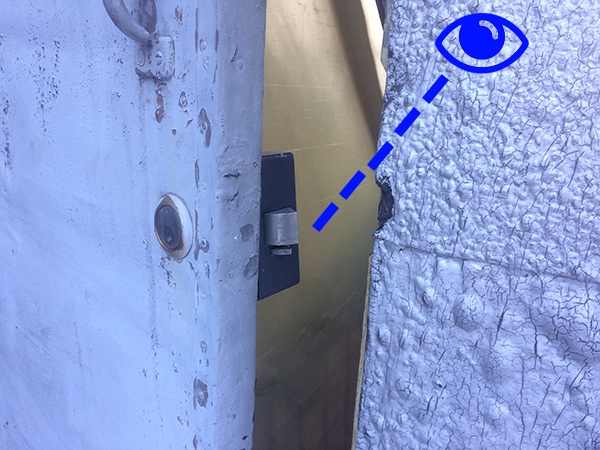 Understand egress (exit) routes from the rooftop space. If there is a door or a hatch, make sure that it does not lock behind you. Prop open if necessary. Avoid entering confined or narrow spaces. Inspect the ladder prior to using it. Make sure it is secured to the wall and that rungs are stable and not slippery. Only one person on the ladder at a time. When climbing through a narrow passage, make sure to take off any loose-fitting clothing. If carrying a backpack, ensure you have enough clearance behind you. Always maintain 3-point contact (i.e. only let go and move one hand or one foot at a time). Do not carry anything that compromises your ability to grip the ladder or could cause you to become imbalanced. Work together with your co-installer to pass equipment up to the top or bottom of the ladder. Inform your co-installer of the weight of anything you are passing to them. Make sure they securely grip the equipment before letting go. Face the ladder when climbing. Inspect the ladder prior to using it. Use the ladder only on a stable and level surface.. Always maintain 3-point contact. Do not carry anything that compromises your ability to grip the ladder or could cause you to become imbalanced. Never stand on the top step, the paint tray, or thin support struts on the back which are not meant to be stepped on. The proper angle for setting up a straight ladder (not the self-supporting A-frame type) is to place its base a quarter of the working length of the ladder from the wall. Do not place a ladder on boxes, barrels or other unstable bases. If using an extension ladder, make sure the locks are engaged on both sides. The equipment used in a typical install is classified as low-voltage beyond the electrical outlet adapter. Low-voltage electrical circuits still present a shock hazard. While the shock from a low-voltage cable may not cause serious injury by itself, it could cause you to jump or lose balance, which could result in a fall. Learn to identify high-voltage electrical equipment and stay away from it. Be careful to not cut or drill through concealed piping or wires. Make a small inspection before starting to cut or drill. Keep cables away from power wires, lightning rods, transformers, hot pipes and mechanical rooftop equipment such as air conditioning units. These things can get hot and melt the coating off our cables. Never install wiring during electrical storms. Use tools with non-conducting handles. 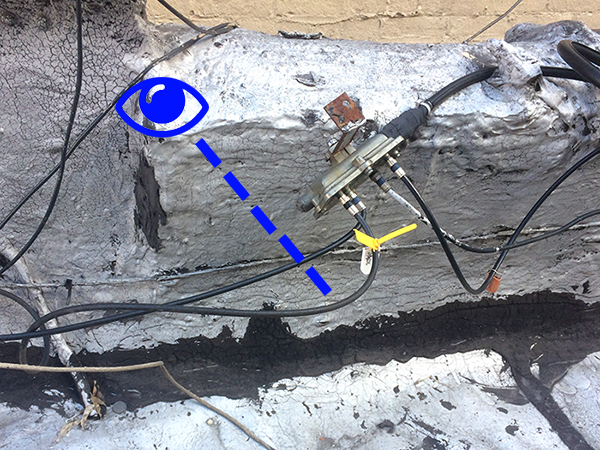 Make sure to secure cable to rooftop and wall surfaces, and keep it out of the way as much as possible. Do not create a tripping hazard for your member or other building users. Make sure to clean up cable sheathing after stripping. A pet or child might eat them if left on the floor. Inspect the drilling area before starting to identify any objects that might get in the way, such as electrical cables, nails or staples. Get a secure footing when operating the drill. Do not overreach. Make sure you are using the right bit for the material you are drilling into and ensure the drill bit is in good condition. Use eye protection, especially when drilling through metal. Metal will shred, and shards could fly into your eye. Keep the drill away from water. Move the drill to a dry location if it starts to rain. Clean the drill bit after operation. Report any damage or defects to the tool owner if you are borrowing it. Coordinate the moving of any heavy furniture with the member. Before moving anything, plan the move and communicate the plan it to your member or fellow installer. Consider where you will pick it up, where you will move it and identify any tripping hazards. Make sure nothing will fall off the furniture you are moving or that moving the furniture will not cause something else to fall. Get as close to the load as possible. While lifting upwards, keep your back straight and your knees bent, and do not twist your body. Do not lift anything that is too heavy for you to pick up in a smooth motion. If moving any outdoor items (for example air conditioner supports), pick up cautiously as there may be insects underneath. Buildings in New York City may contain asbestos. Learn how to identify materials that may contain friable asbestos and avoid exposure (see link below). Asbestos is considered to be not dangerous unless damaged or disturbed, which can release fibers into the air. A general rule of thumb is to assume asbestos may be present in homes built before 1980. The property owner may face liability for any injury. Maintaining safe work practices helps protect your member as well as yourself and your fellow installers!